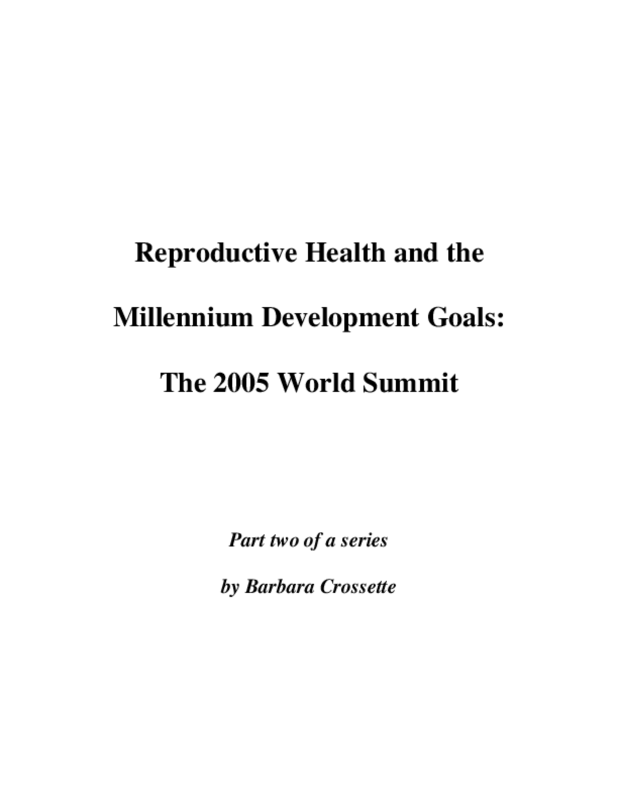 This report, written in anticipation of history's largest gathering of world leaders, will focus in part on the international climate surrounding the issue of women's reproductive rights and women's rights as equal citizens everywhere. Copyright 2005 by United Nations Millennium Campaign. All rights reserved.